Oil-based, acrylic, and spray paints are more difficult to treat – so the recommendation is to paint while wearing coveralls or clothing that can be stained. If you do end up with paint of this sort on your clothing, you will have to treat it with an ammonia- or petroleum-based solvent (like mineral spirits or Varsol) on a sponge, hot water, and heavy-duty detergent. It’s unlikely, however, that the stain will lift completely. Pets: we love them, but sometimes they make a mess! Here are a few remedies for the most common pet-related problems. If kitty has an accident on a tile floor, it’s typically fairly easy to clean up with soap and water. But hardwood and cat urine do not mix well. Sometimes, if left to soak in for even a short while, it can result in an unsightly, discolored stain on the floor. The trick to removing it? Hydrogen peroxide. 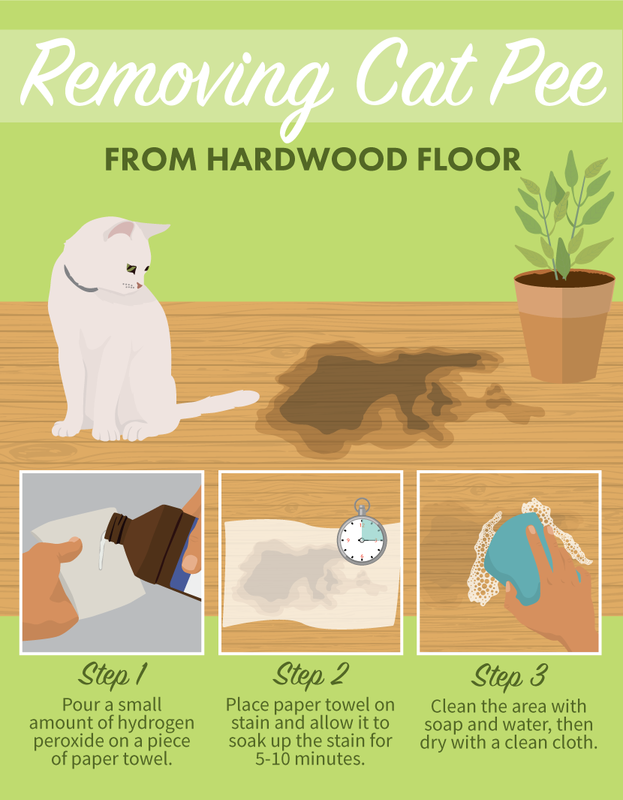 Cat urine will darken your wood (a bigger problem if the finish on your floors is blonde or light oak), so the peroxide will effectively bleach it back to its original state. Use sparingly on a paper towel and allow it to soak into the stain for a few minutes, then clean the area with simple soap and water and dry with a clean cloth. It may take a few days, but the outer edges of the stain will soften and fade. Fido failed to hold it in between walks and now you’ve got a gross wet spot on the carpet! First thing, sprinkle a generous amount of baking soda over the wet stain to neutralize the odor. Then spritz with a vinegar-and-water solution and add in a bit of lemon essential oil to disinfect the affected area. Let it dry out and then vacuum as normal. 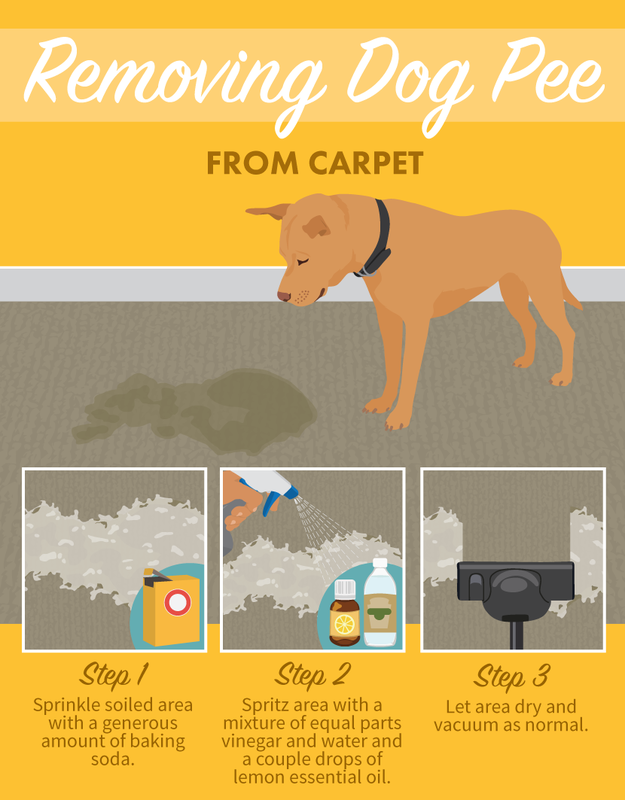 Dog urine isn’t as potent as cat urine (there’s higher water content), so the stain shouldn’t be as hard to clean up.